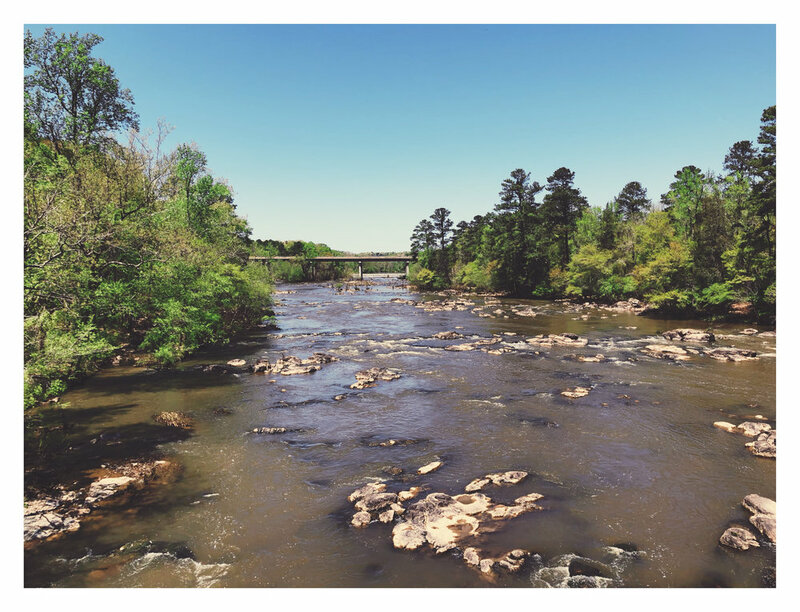 We are so, so excited to announce that our first-ever Easter celebration will take place at (drumroll...) sunrise on Bynum Bridge overlooking the Haw River! We'll gather on Easter Sunday, April 21 at 6:30 am on the bridge to watch the sun come up over the Haw River, rejoice in hope, and celebrate the resurrection of Jesus! We can't wait to share this with you. You can expect scripture and singing, a brief sermon, and Holy Communion with friends old and new. Bring a chair or blanket for yourself and/or someone else. Important: We'll take care of the coffee. As always, all are welcome! Here's the Facebook event to RSVP and invite your friends, and you can add it to your calendar here. The physical address of Bynum Bridge is 593 Bynum Rd. Pittsboro, NC 27312. Parking is available in a lot adjacent to the bridge or along the road nearby. There will be plenty of parking available!